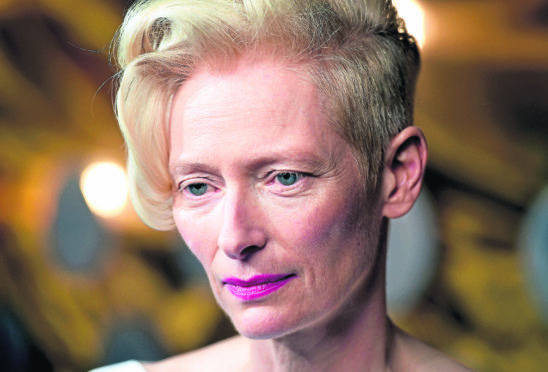 Tilda Swinton has insisted she is Scottish after fellow actress Kelly Macdonald questioned her Caledonian credentials. The Oscar-winning star, who lives in Nairn, strongly defended her right to call herself a Scot in a interview to promote her new film. Glasgow-born Trainspotting star Miss Macdonald, 42, claimed recently that Swinton was too “posh” to be Scottish and was “really English”. Miss Swinton, 57, was born in London, the daughter of Sir John Swinton of Kimmerghame and granddaughter of Scottish politician George Swinton. But she spent much of her childhood north of the border and has lived in the Highlands for the past two decades. Speaking to the BBC, the Doctor Strange and Michael Clayton star she had never considered herself British or English and pledged her support for Scottish independence. She said: “I don’t quite believe the word British. I feel like it’s sort of a strictly for export term. “I don’t really know what it means. She added: “I have lived in Scotland full-time for the last 20 years, I was brought up in Scotland through my childhood, I am from a family that has lived in Scotland for centuries. “I have never felt English, and I have never felt British, politically. Miss Swinton was promoting horror remake Suspiria, in which she plays three different parts, including that of an elderly German man. Miss Swinton has joked that her accent sounds like “something out of 1930s BBC”. She was educated at the prestigious independent schools Queen’s Gate in London, Fettes College in Edinburgh and West Heath Girls’ School in Kent, where she was a classmate of Diana Spencer, the future Princess of Wales.